The Twence Waste-to-Energy plant (Netherlands) captures CO2 and transforms it into baking soda (sodium bicarbonate). 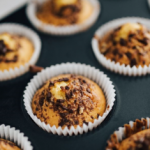 Rather than making cakes, the plant uses the sodium bicarbonate in its flue gas cleaning system thereby saving precious raw materials while reducing its carbon emissions. In order to improve its benefits for the environment, the Twence Waste-to-Energy plant already achieves high energy efficiency (R1 status) and reprocesses its bottom ash as a construction material, following the Dutch “Green Deal” for clean bottom ash. Reducing CO2 emissions was the next aim of the plant. Carbon Capture and Storage (CCS) would be a natural candidate. However, CCS presents major technical and economic shortcomings: it increases energy consumption as well as the consumption of absorbents, and it requires important investment costs. Re-using the captured carbon was seen as a potential alternative. In 2011, the plant took part in an EU-funded test project focused on Carbon Capture and Usage (CCU). The goal was to reduce CO2 emissions and generate sodium bicarbonate from the process. The sodium bicarbonate would be produced as a reaction from capturing CO2 from the flue gasses. It would then be used in the incinerator for flue gas cleaning purposes (removal of acid components). After three years of this test project, the plant decided to fully integrate the CCU unit. Since 2016, the unit is fully operational and running in the Waste-to-Energy plant.